Why PatchKit is choosen for your app distribution? Looking to distribute games in particular? We take care of hosting your files so you could focus on your application development. No storage fees included! PatchKit integrates into your build pipeline for fast and easy distribution. Just upload your app content to our servers and we will take care of the rest. Upload your apps's content fast from the command-line on Windows, Mac or Linux. 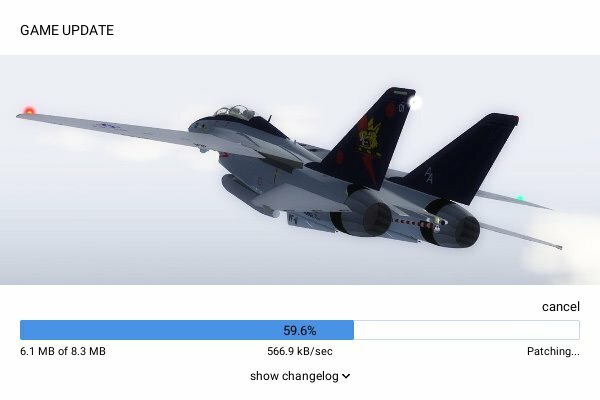 A delta file is prepared locally so publishing a new version can be even faster! Publish your application without leaving the Unity editor. It's easy, fast and secure. The launcher is all users need for downloading your application and keeping it up to date. It's also completely customizable, so you can quickly match it to your title or company! Just download the source files, and you can customize your Launcher using Unity's UGUI system. Don't ask your users to wait! Our optimized Launcher algorithms will download and update your application as quickly as possible. Any changes you make to the Launcher will be received by your players instantly! There's no need for them to download the new version. At only 10 MB, the Launcher is incredibly responsive no matter what platform it's on. Create your free PatchKit account and sign-in using your new credentials. Compress your application's content into a compact ZIP archive and upload it. Download and share your Launcher.exe file with anyone you'd like! Get things off the ground with PatchKit's Free plan, and when you feel ready, you can easily upgrade your account to your needs. Get started without providing your billing details. We will ask you to fill it only when you exceed 150 GiB of monthly free data transfer. Looking for more information? Contact our sales team.